Hey guys it’s Ash and in this post I’m gonna talk about the future of Clash of Clans and new troop levels that we’ve been waiting for a very long time. There are many troops in the game that need a new level and it’s been long overdue in my opinion. The reason why it’s taking Supercell so long to implement a new troop level is mainly because of how long the testing phase of a new troop level takes. 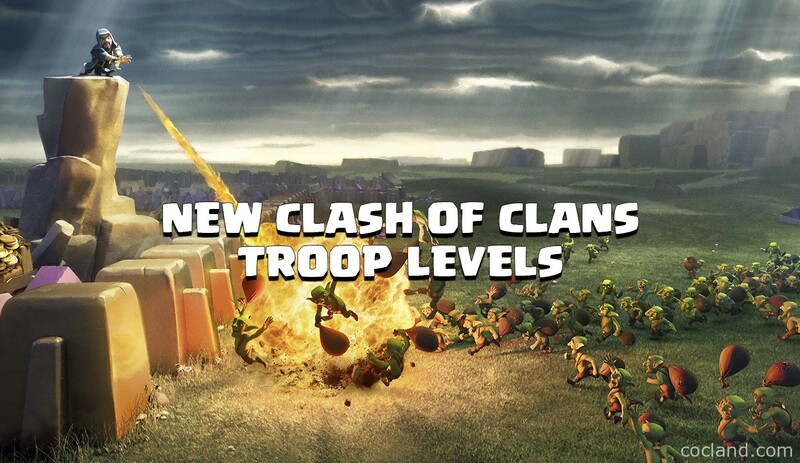 They need to test whether the troop is viable in all aspects of the game, which includes trophy pushing and clan wars. And they also need to make sure that the troop does not outclass another troop because every troop deserves to be equally utilized. So to help Supercell, I’ve made this video discussing what new troop levels we are most in need of and how they can be balanced for all aspects of the game. So if you want to see new troop levels soon and like my ideas and want Supercell to take notice and implement them, then be sure to give this video a thumbs up as Supercell will be notified through Twitter. The first troop I want to talk about is the Hog Rider. We really need a level 6 Hog Rider for Town Hall 10s and 11s! I was so disappointed when we didn’t get a new Hog Rider level in the TH11 update. He is obviously one of the most fun and strategic troops in the game, but is overwhelmingly ridiculed by Inferno Towers, making him a very unappealing troop to use at TH10 and is also a big reason why TH10 players have such a difficult time 3 starring other TH10s. He simply can’t live long enough against Inferno Towers. Then of course came the introduction of TH11 and the Grand Warden. At first when I heard the idea of a support Hero who can buff the HP of troops, I thought that this would be an excellent combination with Hog Riders and maybe they can come back to the scene at TH11. However, that did not happen. Although Hog Riders get a nice buff from the Grand Warden, the defenses at TH11 are just too strong and the Grand Warden is too slow to often catch up to and buff the Hog Riders. Not to mention you also have the threat of the Eagle Artillery that can lock onto large groups of your Hog Riders. It just doesn’t make sense not to have a new level for Hog Riders, especially when level 5 Hog Riders are maxed out at TH9! So a level 6 Hog Rider will help us dearly with a significantly greater HP to withstand the high level defenses of TH10 and TH11. The next troop is the Valkyrie! The most underappreciated troop in the game simply because she can not withstand the impact of Multi Targeting Inferno Towers. Like the Hog Rider, the Valkyrie is another troop that you can max out at TH9 and at only level 4. This just does not make sense. By now we should have a level 6 Valkyrie, but we’re still stuck at level 4. This is a very big reason as to why Valkyries are so under-appreciated. 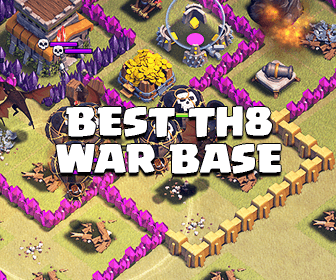 Don’t get me wrong, there are some great 3 star strategies out there that involve the Valkyrie, but most TH9 bases are already very easy to 3 star with other often better troop compositions involving Hog Riders or Lavaloon. And when you get to TH10, you find that the Valkyrie just can’t withstand the defensive power of a TH10 base that also has a Multi Inferno to make your Heal Spells useless. A level 4 Valkyrie just doesn’t have the HP to live long enough against the defensive firepower of a max TH10 base. With a level 5 Valkyrie with substantially greater HP, we may finally see her shine at TH10 because she has a lot of potential. A lot of people aren’t aware of this, but the level 4 Valkyrie actually has as much HP as a level 7 Giant and is about two and a half times stronger and does melee splash damage, while the Valkyrie takes up 8 housing spaces compared to the Giant’s 5 housing space. So the additional 3 housing spaces compensate for her much greater power. However, the problem with the Valkyrie is not her power, it’s her HP. For a melee troop taking up 8 housing spaces, her HP is just too little to deal with TH10 defenses. Especially when the Valkyrie, like Giants, are most effective when used in large groups. However, the problem with grouping Valkyries is that they’ll incur more damage from splash and bombs and also be more vulnerable to Multi Infernos. Not to mention, most TH10 and TH11 players already know how quickly a large group of Giants can die as opposed to a Golem or Pekka, so it’s not hard to understand why a group of Valkyries, who cost substantially greater housing space are so easy to defend against. Their ability to do splash damage to multiple clumped up buildings is very unique, but is heavily under-appreciated and almost no TH10 or 11 base designer builds his or her base with the thought of defending against Valkyries. So yes, we definitely need a new Valkyrie level with her having greater HP to survive longer against the heavy defenses of a TH10 and TH11 base! The next troop also in line is the level 7 Balloon! GoLaLoon is very powerful attack at TH9, but is also in my opinion balanced enough and with the addition of the Air Sweepers, good bases are sometimes able to defend good GoLaLoon attacks. However, at TH10, 3 starring an opposing TH10 with Inferno Towers is about 10 times harder and that is also mostly because level 6 Balloons just don’t live long enough, they are just too easy to take out with the additional air traps and levels and much more powerful air defenses at TH10 along with Inferno Towers. It’s just overkill for Balloons at TH10. At TH11, level 6 Balloons get a little better because of the buff received by the Grand Warden, but at TH10, if you’re looking to 3 star other TH10s, that just becomes incredibly difficult to do so. So I would just love to see level 7 Balloons as it will surely bring in the 3 star winning wars atmosphere to many clans with TH10 players. Another troop I think that would love an upgrade is the Pekka! 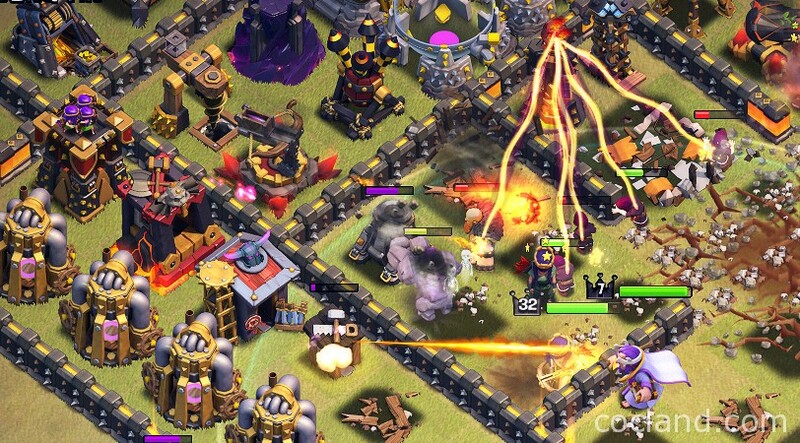 At TH11, the Pekka is one of the biggest troops that got neglected of power and use. Very few TH11 players use Pekka in wars and trophy pushing because she just doesn’t get much buff value from the Grand Warden and with the addition of the Eagle Artillery, it just makes it more difficult for her to get far enough inside a TH11 base. So it would be great if we can get a level 6 Pekka for TH11, especially now that most people set their Inferno Towers to Multi Target because Witches are everywhere at TH11. And Pekkas are very effective against bases with 2 Multi Infernos. So yea, would love to see a level 6 Pekka. 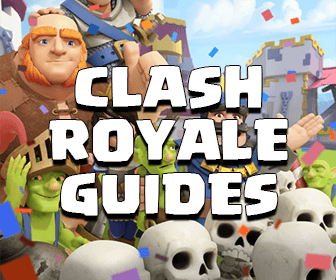 The last troops I want to talk about are level 8 Barbarians, level 8 Archers, and level 8 Giants. Farming at TH11 is incredibly difficult compared to any other town hall levels and these higher level farming troops would be ideal for the active farmer. Level 7 GiBarch is very good for farming at TH11 when used with the Grand Warden, but the problem is, you’re up against TH10s and 11s that have Inferno Towers and high level defenses. So to really farm against those powerful bases effectively with GiBarch, you’re going to have to use up multiple spells to get a good profit in return (but that also costs a lot of Elixir and takes longer time to train). So yea, TH11 could really use stronger farming troop especially since there’s a big deficit of elixir there. So those are all the troops that I really think need a new level and I think it is time that we do get these new levels now with the addition of Town Hall 11. Many of these troops haven’t got a new level upgrade in over a year, some even over 2 years. So I hope you guys agree with me and if you do and want Supercell to add these new levels, then be to give this video a thumbs up and also subscribe if you haven’t. Also comment below on what you guys think and what new troop level you guys really want. Thanks for watching and I’ll see you guys again soon. Later!